Monsters University will be hitting theaters June 21 and we thought it that was a good excuse to throw a party with cute monster treats! So in anticipation for the release of Monsters University, we decided it would be fun to share with you some fun monster treat ideas! Back to School Ruler Cookies! 1. Make our No Fail Sugar Cookie Dough. Cut out as many rectangle shapes as you can and cut them into thirds. 2. Bake cookies on parchment paper and let cool on wire rack. 3. While cookies are cooling, prepare the yellow fondant and cut out the shapes the same way you cut out your cookies (cut into thirds). 4. Prepare your black royal icing (following the directions on the mix bag). 5. Cover the cookie shapes with the yellow fondant first, then pipe ruler markings with your black royal icing. Our new and oh so fancy Springerle Cookie Molds are in! 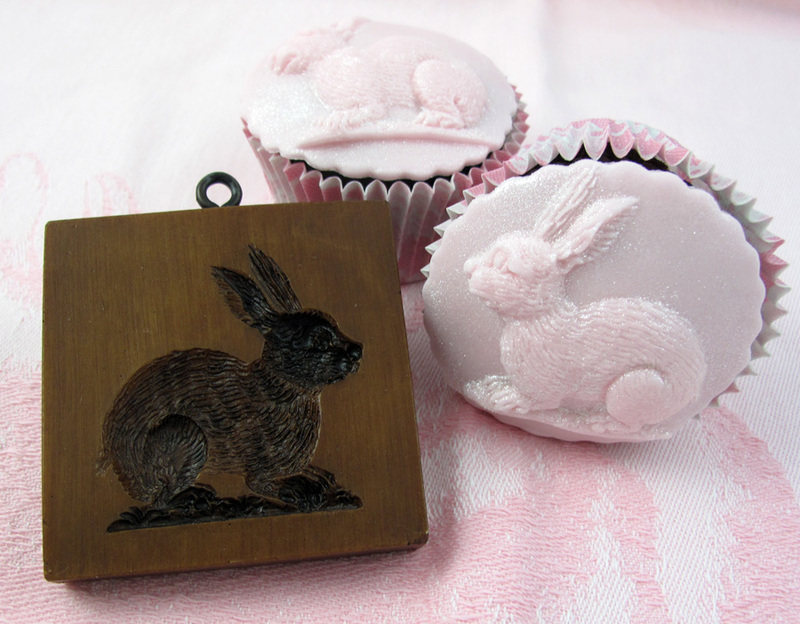 These molds have a beautiful way of making intricate impressions into cookie dough, fondant, marzipan, chocolate and even paper crafting projects. They also are beautiful on their own and could be hung on a tree or displayed on a plate rack as part of your baking collection. 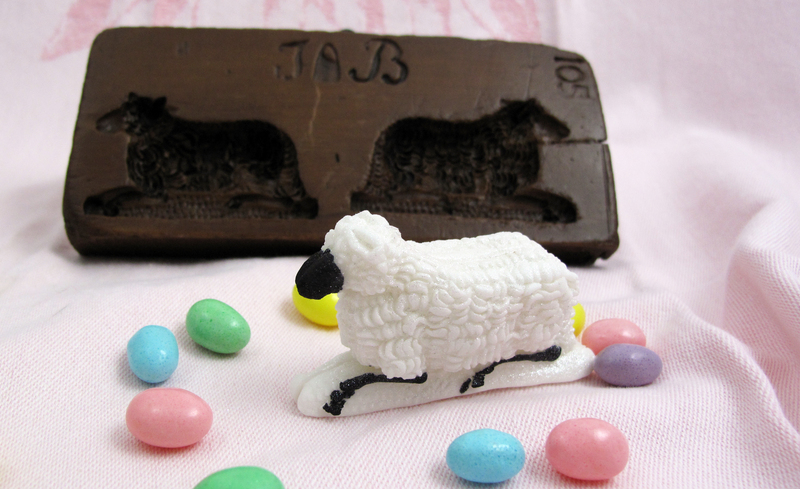 This darling little lamb mold comes as a double – so you can make 3D lamb shapes for your Easter baskets and as table decorations. The lamb featured in the photo was made from fondant and has been painted with Super Pearl Luster Dust on the body and Black Disco Dust for the nose and legs. We like mixing our luster and disco dust with a small amount of clear vanilla or lemon extract to create a paint. Apply the “paint” with a small craft brush – it’s as simple as that! 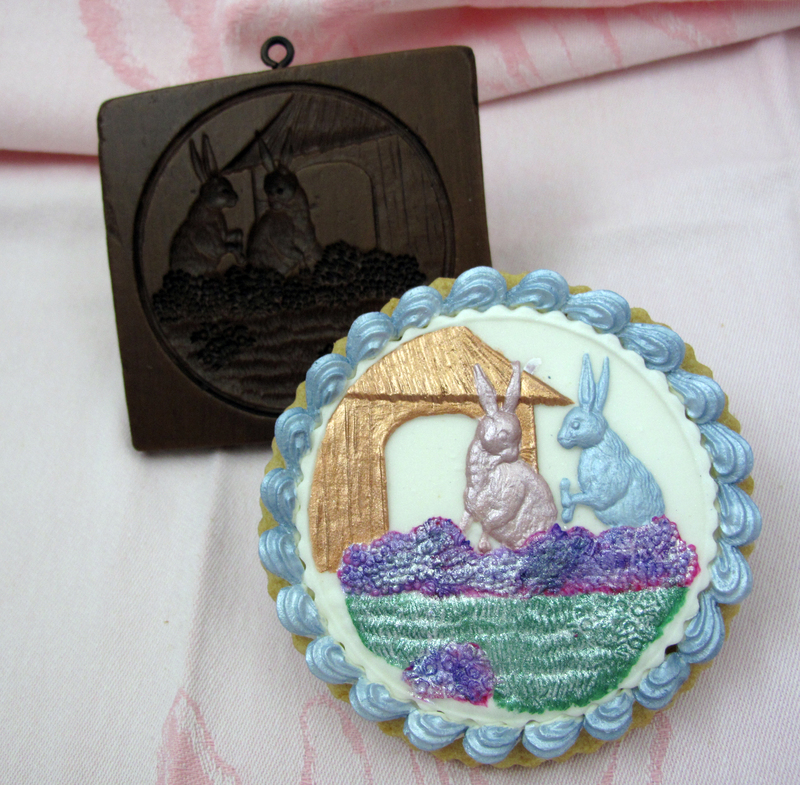 Rabbit Couple Springerle Mold featured above with several fun shades of luster dust . This cupcake above features a fondant top created using the Detailed Bunny Cookie Mold and our Round Crinkle Cookie Cutter Set to create the fluted edge shape. After pressing your fondant into the mold, cut a circle with one of the crinkle cookie cutters. Then before laying the fondant on top of your cupcakes, ice a layer of frosting to ensure the fondant will stick. Use a set of pink cupcake liners to match! Fancy Fondant Florals – a unique way to decorate! What better way to welcome the warm weather than a batch of cheerful cookies for the classroom, your neighbors or our office-mates? 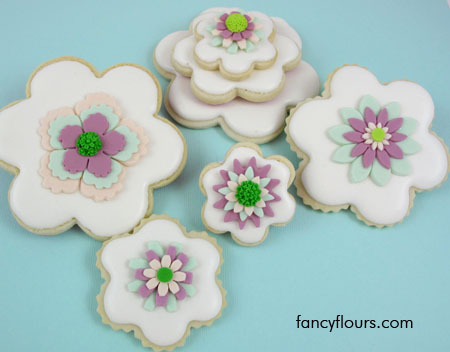 These lovely little sugar cookies are decorated with a simple layer of royal icing and our new fabulous floral fondant shapes. 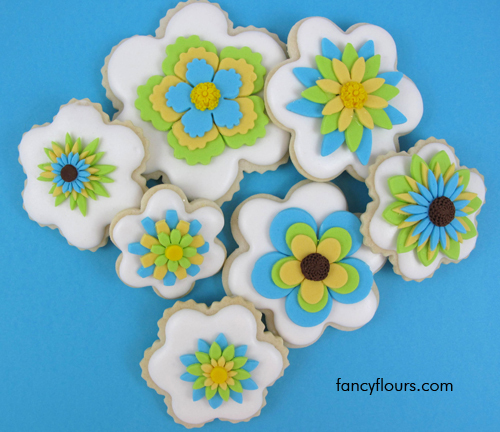 We used the Flowers Cookie Cutter Set (crinkled edges & straight) for five different sizes of flower cookies. Stack cookies on top of each other for a 3D look – I mean who doesn’t need three cookies in the same helping!?! The fondant shapes couldn’t be easier to work with. They range in size from 1/2 inch to 2 inches and are all precut and ready to be applied to your cookies! Use a dab of royal icing to ensure they stay in place. These little superstars will make any cookie, cupcake or cake decorating project a breeze (and you will look like a pro!). Try our No Fail Sugar Cookie Recipe for fool proof cookie dough that truly tastes AMAZING and holds the shape of your cookies after they are baked! Also check out several other fondant shapes that are new to our collection: flip flops, umbrellas, baby onesies, handbags, orchids, and hearts to name a few! Enjoy browsing our entire fondant collection HERE.